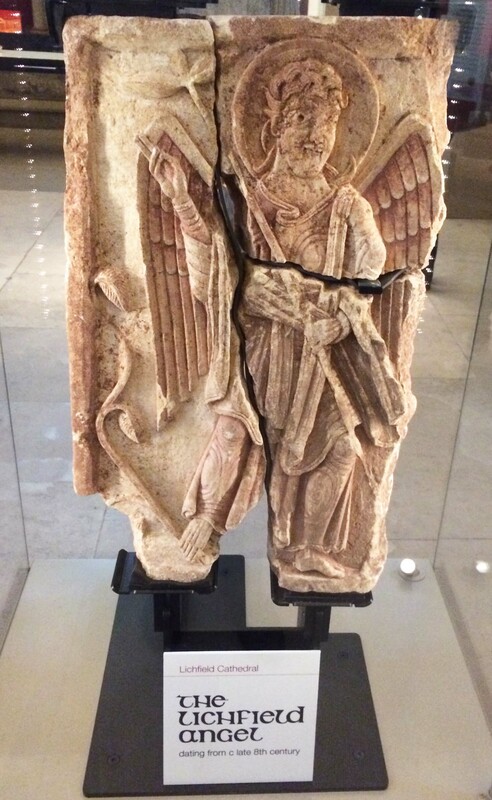 An exceptional Lime Stone Carving dated to be from around 800AD that was excavated from the Cathedral’s Nave in 2003. Three panels were discovered and are thought to be from the shrine of Saint Chad (d.672) who was the very first Anglo-Saxon Bishop of the Mercians of Lichfield in 669. The Stonework features a finely carved archangel and shows remnants of paintwork providing clues to its original decoration.